The outcome of this transmission was very poor; only 3 of the 14 children survived the disease. I don’t really have any lesson to draw from these cases. Without an extensive molecular workup that isn’t available for almost all of these cases, I don’t know that we can learn much about tumor transmission. Still, these stories are worth keeping in mind when thinking about mechanisms of tumor transmission. All-site cancer rates in successive birth cohorts by age of death. They point to reduction in smoking, effective treatment of childhood leukemias and lymphomas and testicular cancers of young adulthood, and “ increasingly successful screening programs for breast, prostate, and colon cancer ” as important factors, and add “ We are optimistic that ongoing efforts in very early cancer prevention (such as use of HB and human papillomavirus vaccines), as well as ongoing clinical trials of targeted therapies, will preserve the downward trend of cancer mortality “. How many human cancers are caused by viruses? We know that viruses cause a significant minority of human cancers, but we don’t know quite how many, or which, cancers are viral. It’s not as easy as you might think to tell. The link between viruses and cancer was one of the major breakthroughs in cancer biology, but you could also make a case that that link set cancer research back several years. (Cancer viruses were shown, in chickens, in 19111, but it wasn’t until the 1960s that interest in the concept took off, with Epstein’s demonstration of Epstein-Barr virus (EBV)2 in some human tumors. ) Studying viral oncogenesis has led to huge advances in our understanding of the fundamental biology of cancers. The problem was that there was a general assumption, in the 1960s and 1970s, that viruses were directly responsible for the vast majority of human tumors. If so, all we needed to do was to identify the viruses, develop vaccines against them, and voila! No more cancer! Of course, it wasn’t that easy. For all the fundamental advances from this concept, it’s been relatively unproductive as far as the bedside is concerned. Most human tumors are not caused by viruses,3 and even those that are, have been really resistant to treatment via direct anti-viral approaches.4 The research units that were established in the 1970s to look at the virus/tumor connection have mostly either disbanded, or taken a different direction now. In spite of that, there’s still new and exciting stuff coming out. 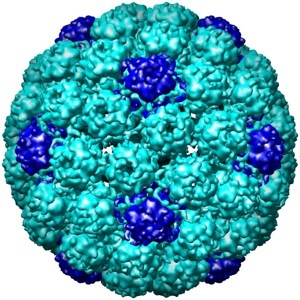 Most recently,5 Yuan Chang and Patrick Moore identified a new cancer-causing virus of humans. (This was their second breakthrough virus; in 19946 they also found the second-most recent cancer-causing virus of humans, Kaposi’s Sarcoma Herpesvirus.)) This brings to six the number of clearly-linked human cancer viruses: papillomaviruses, HTLV-1, hepatitis B virus, EBV, Kaposi’s Sarcoma Herpesvirus, and the new one, Merkel cell polyomavirus. I keep meaning to talk about the discovery of Merkel cell polyomavirus, but I’ll set that aside for now. Very briefly, last fall Chang and Moore showed that the presence of the virus is linked to a fairly rare tumor, Merkel cell carcinoma, and they and others have now confirmed the epidemiological association and demonstrated a mechanism for causing tumors. We’re at the stage now of trying to understand the normal biology of the virus. 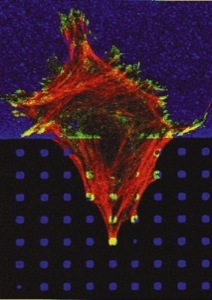 As with most (and all human) cancer viruses, the virus is much more widespread than the tumor. How widespread it is? How does it spread? Does it cause other disease — in particular, is it involved in other tumors? That last is a particularly interesting question, because although Merkel cell tumors are rare, there are a number of common tumors that could, conceivably, also be caused by the virus; and if the virus causes even a subset of those, then it could be a common cause of cancer rather than an unusual one. So far, though, I think the evidence suggests that the virus is fairly limited in the damage it causes; quite a few groups have looked for the virus in other types of cancer, and although it may be occasionally found7, that most likely reflects general background infection with the virus rather than a causative role. One exception is a recent paper8 which suggested that the virus might be associated with a subset of squamous cell carcinomas. SCC are a pretty common form of skin tumor, so if MCPyV is a cause of even a subset of SCC it might be a significant cause of cancer. 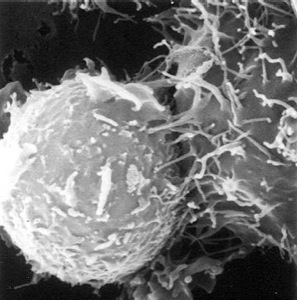 The problem is that the other studies on MCPyV have shown that it’s out there even in normal, non-diseased humans9 — as you’d expect; the virus must be able to spread and circulate within the human population somehow, and the version of the virus found in Merkel cell tumors is damaged and likely can’t spread, so there must be virus replicating in normal tissues. In this paper, the authors find the virus in a subset of SCC cancers, but I would like to know how many they’d find in normal human skin using the same techniques — the 15% of positive tumor samples may or may not be significantly different. On the other hand, the SCC-associated virus did show a similar molecular signature to that found in Merkel cell cancer,10 suggesting a causative role. Right now, I’m not completely convinced, but am definitely intrigued. One really interesting point to add is that — if MCPyV really does cause a significant number of tumors — then it’s been missed all these years, despite high interest in searching for human cancer viruses, until new techniques were applied to the right samples in the right way. Are there other human cancer viruses out there, waiting for the right technique? Is it still possible that most human cancers are caused by viruses? I think that’s pretty unlikely, but the door is still open a crack. Identification of herpesvirus-like DNA sequences in AIDS-associated Kaposi’s sarcoma. Chang Y, Cesarman E, Pessin MS, Lee F, Culpepper J, Knowles DM, Moore PS. For example, Human Merkel cell polyomavirus infection I. MCV T antigen expression in Merkel cell carcinoma, lymphoid tissues and lymphoid tumors. Shuda M, Arora R, Kwun HJ, Feng H, Sarid R, Fernández-Figueras MT, Tolstov Y, Gjoerup O, Mansukhani MM, Swerdlow SH, Chaudhary PM, Kirkwood JM, Nalesnik MA, Kant JA, Weiss LM, Moore PS, Chang Y. 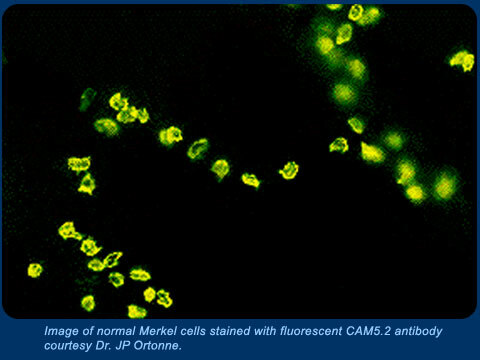 Human Merkel cell polyomavirus infection II. MCV is a common human infection that can be detected by conformational capsid epitope immunoassays. Tolstov YL, Pastrana DV, Feng H, Becker JC, Jenkins FJ, Moschos S, Chang Y, Buck CB, Moore PS. Transmissible tumors: Similar after all? 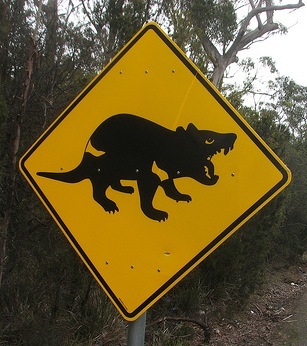 A year or so ago, the first time I mentioned transmissible tumors, I dismissed Tasmanian Devil Facial Tumor disease as not particularly surprising. As I said more recently, I’ve changed my mind about that, almost entirely because of a chat with Elizabeth Murchison at the Origins of Cancer symposium last month, who told me a couple of things I hadn’t known about the situation. 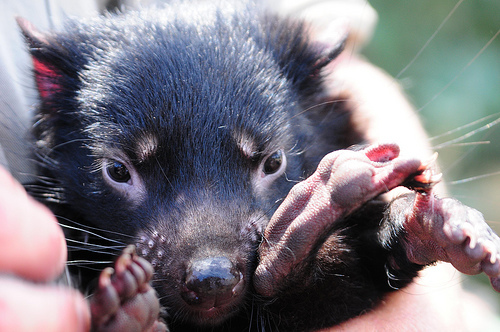 TDFT is a transmissible tumor, a cancer that arose in one Tasmanian Devil some time ago (at least a decade ago, and maybe much longer) and that is now spreading throughout the Tasmanian Devil population — killing a vast number of them. 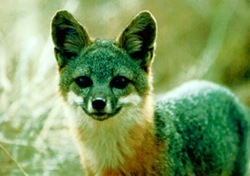 It’s a tumor that’s spread when these highly territorial animals1 bite each other on the face; the tumor then grows on the bitten animal’s face and eventually makes it unable to eat properly. Nearly 90% of Tasmanian Devils, in affected areas, have died. This is a catastrophe. Cancers are not, in general, transmissible. Each new cancer is a new event, that arises from normal cells of the affected individual. A transmissible cancer would be like an organ transplant — it would be rapidly rejected, because individuals in a population have different MHC molecules, and the immune system rapidly and aggressively rejects cells with the wrong MHC. So there are two possible reasons why a tumor could, in fact, become transmissible. 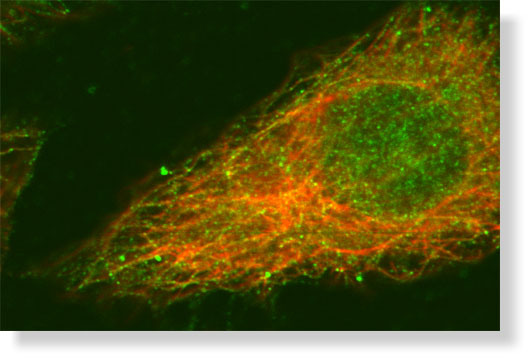 Either the individuals in a population do not have different MHC molecules on their cells, or the tumor can transmit between individual in spite of different MHC molecules. 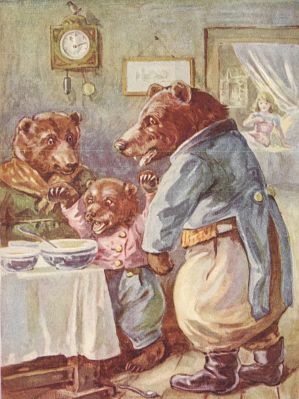 The explanation for the spread of TDFT seemed to be the former: It was claimed that Tasmanian Devils have very little MHC diversity, so that they can’t reject the tumors3. Even though MHC is normally highly diverse in a population, there are certainly populations — especially small, island, threatened populations, like Tasmanian Devils — that have very limited MHC diversity, so this seemed reasonably plausible. 4 This would be a fairly well-understood mechanism of tumor spread, which is why I said it wasn’t that interesting. Anyway, as I say, the explanation for TDFT was simple enough: The tumor spread because Tasmanian Devils aren’t genetically diverse. But there are three major arguments, I’ve learned, that say that explanation is wrong. First: Tasmanian Devils are not, in fact, spectacularly genetically homogenous. 5 They’re not as diverse as you’d like to see, but they’re not completely homogenous. In particular, there are two clear, genetically distinct, populations of Devils in Tasmania, one in the East, and another in the Northwest. Second: Murchison told me that Tasmanian Devils — even those in the same sub-population — vigorously reject each others’ skin grafts. This is what’s supposed to happen with skin grafts, of course. It implies that the Devils do not, in fact, have the same MHC; and in my opinion it’s a much stronger experiment than those in the original homogenous-MHC paper. 3 If Devils reject skin grafts from each other, then they ought to reject tumors from each other — in other words, even if the tumor can take in one individual, then it should be rejected in another, so the tumor should not spread throughout the population. The skin graft finding hasn’t, as far as I know, been published, but if it holds up, it’s a strong argument against homogenous MHC. Third: Murchison also told me that the tumor is spreading into Devils in the Northwest. 6 As I said, the Northwestern and Eastern Tasmanian Devils are clearly distinct populations, with different genetic characteristics. 7 If the tumor can spread between them, then the tumor isn’t relying on genetic homogeneity for its transmission. So the evidence for MHC homogeneity is not good, the evidence that the tumor requires MHC homogeneity is not good, and the only precedent we know of, CTVT, does not require MHC homogeneity for its transmission. It seems that the two transmissible tumors we know of may be much more similar than I had thought. As the overwhelming majority of the mutations in cancer cells are unrelated to malignancy, the mutation-generated epitopes shall be specific for each individual tumor, and constitute the antigenic fingerprint of each tumor. These calculations highlight the benefits for personalization of immunotherapy of human cancer, and in view of the substantial pre-existing antigenic repertoire of tumors, emphasize the enormous potential of therapies that modulate the anti-cancer immune response by liberating it from inhibitory influences. 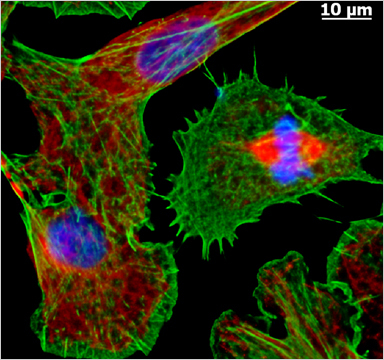 Modeling the Repertoire of True Tumor-Specific MHC I Epitopes in a Human Tumor. Cancer is a creepy disease. 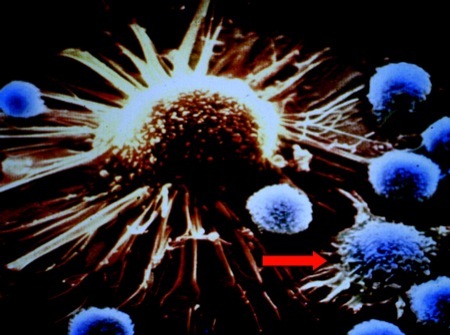 Your own cells turn on you, mindlessly and blindly destroying themselves — because the only way a cancer can survive is for its host to survive; unlike viruses, cancers don’t spread from their original carrier to new hosts. Each cancer is a new and unique event, and each cancer is a terminal event, with no future, no children, no transmission. 1 Cancers don’t spread between individuals, because they would essentially be tissue transplants; if you try to transplant skin (or whatever) between two animals, the skin will be rapidly rejected because of mismatched MHC alleles, and the same is true for tumors. In theory, tumors could spread from one identical twin to another (I don’t know of cases where this has occurred, though). Tumors might also theoretically spread within a population that has little MHC diversity. Cheetahs, for example, notoriously don’t have much MHC diversity,2 probably due to a genetic bottleneck some 10,000 years ago,3 and tolerate random skin grafts very well;4 it’s conceivable that a tumor that arose in one cheetah could spread throughout the population. But MHC is generally diverse, and becomes diverse very rapidly, so these sort of low-diversity populations are unusual (though they may be more common than generally realized). And so, as I say, tumors are dead ends and don’t spread from their original host. But there are always exceptions, and we know of a couple exceptions for this principle as well. 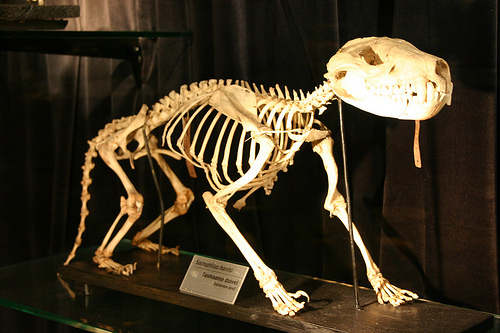 Tasmanian Devil Facial Tumor is one; canine transmissible venereal tumor (CTVT) is the other. The last time I talked about this, I said that there wasn’t anything particularly surprising about TDFT. I’ve changed my mind about that, for reasons I’ll talk about later. Here I want to give a quick update on CTVT, which is still even more interesting than TDFT. The last time I talked about this I cited a paper6 that showed that the original host of CTVT was actually very ancient: “ Our analysis of divergence of microsatellites indicates that the tumor arose between 200 and 2500 years ago. ” 6 Amazingly enough, it seemed that the tumor had been passed between dogs perhaps for a couple of thousand years. This raises a fascinating scenario (which I didn’t see spelled out in Reddeck et al, though I think they were hinting at it). It’s still mysterious how CTVT spreads between hosts. As I said, tumors should act like tissue grafts, which are very rapidly rejected if they’re not MHC matched (as is the case with the CTVT and modern dogs). But tumors could, theoretically, spread within a population that has minimal MHC diversity — that is, an inbred population, that has recently undergone a genetic bottleneck. 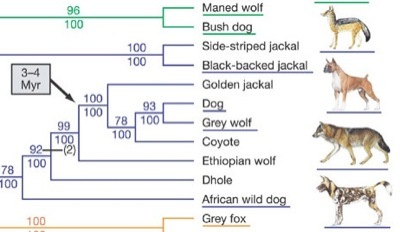 Such a bottleneck very likely happened during the domestication of dogs, as they evolved from wolves. 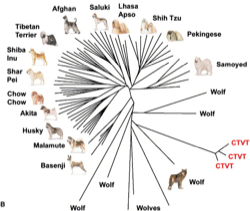 Was the original CTVT a tumor of one of the very first domesticated proto-dogs — an inbred proto-dog,8 a member of a small and inbred population — a spontaneous, fairly ordinary tumor that then spread to the first host’s MHC-matched neighbours in the small and inbred population? That would not be so mysterious; we know tumors can be transplanted between genetically identical hosts, that’s done with lab mice all the time. 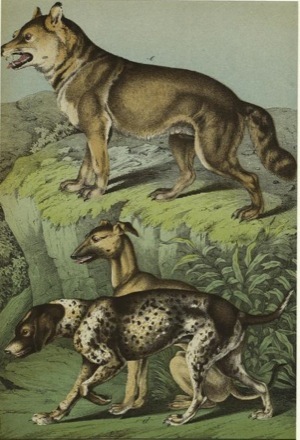 Then, as the domestic dog population expanded and spread over the world, the tumor would expand and spread along with it, and would have the opportunity to undergo natural selection, adapting to the newly-diverse MHC and to the immune responses that arose after the tumor did. We don’t know, in molecular terms, how the tumor has adapted — we don’t know why it’s able to spread in grow in spite of host immune responses. But at least we can now imagine how the tumor could have reached this point. Thirty thousand transmission events — a couple of million cell divisions — is a long time for a cancer to adapt. DNA variation of the mammalian major histocompatibility complex reflects genomic diversity and population history. Genetic basis for species vulnerability in the cheetah. O’Brien SJ, Roelke ME, Marker L, Newman A, Winkler CA, Meltzer D, Colly L, Evermann JF, Bush M, Wildt DE. Here’s an example of the power of human models, though it’s not exactly what Davis is describing.3 I’ve mentioned before the evidence that cancers in mice are controlled by the immune system (for example, here and links therein). In those experiments, mutant mice, lacking one or more components of the immune response, were shown to be predisposed to cancer. There are also a couple of human studies that indicate the same thing; people on long-term immunosuppression (as in transplant recipients) are somewhat more likely to get certain kinds of cancer, for example. There’s a lot of other interesting stuff in the paper, but this is enough to make the point: Just as in mice, perforin in humans (and therefore, the immune system) is important in preventing cancer. Familial hemophagocytic lymphohistiocytosis. Primary hemophagocytic lymphohistiocytosis. Henter JI, Aricò M, Elinder G, Imashuku S, Janka G.
Perforin-mediated Cytotoxicity Is Critical for Surveillance of Spontaneous Lymphoma. Mark J. Smyth, Kevin Y.T. Thia, Shayna E.A. Street, Duncan MacGregor, Dale I. Godfrey, and Joseph A. Trapani. One of my long-standing questions now has at least a partial answer, or maybe a pathway toward a partial answer. My question was, “Why are different tumors the same?” That is, why do tumors of the same type often seem to have similar immunological changes? Part of the answer may be that the particular oncogenes associated with different tumor types lead to particular transcriptional hot-spots, and being a transcriptional hot-spot makes the region a mutational hot-spot as well, but at least as I understand it that’s not enough to account for the trends. MAP tumours could be more prone to stimulate a cytotoxic T-cell-mediated immune response, due to their frequent generation of aberrant peptides. Hence, these tumours could also be subjected to a strong selective pressure favouring the outgrowth of cancer cells that acquire an immune evasive phenotype. In other words, the argument is that the group of tumors that lose (or reduce) DNA repair are much more likely to throw out mutant proteins. 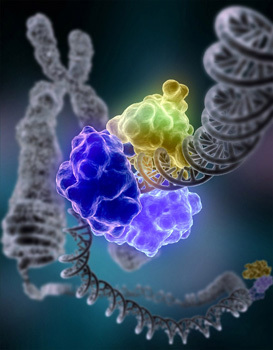 These mutant proteins are targets for the immune response (because they’re no longer “self” antigens), so to survive the immune attack the tumor has a strong selection for loss of immunogenicity (and also has the high mutation rate that allows them to rapidly mutate away from immunogenicity). Sure enough, the tumors did frequently (72%) have defects in antigen presentation. (In fact, because of the way they measured HLA expression — by immunohistochemistry rather than sequencing — I would bet that the rate of functional defects was actually much higher than that.) They conclude that this “ provides additional evidence that tumours carrying defects in DNA base repair mechanisms are more prone to undergo immune escape mechanisms. ” 2 Since they don’t formally compare to other tumor types, I don’t think they can really say “more prone” — you’d have to use the same techniques to look at tumors from non-MAP patients to be able to say that. Still, I do think that is a significantly higher rate than has been turned up in previous studies using similar techniques,3 so I’ll tentatively accept that conclusion. Again, we would need to compare to other tumor types to see if this really is more frequent, but overall it feels as if there’s a hint of a pathway here. At least there are some specific questions that can be asked.